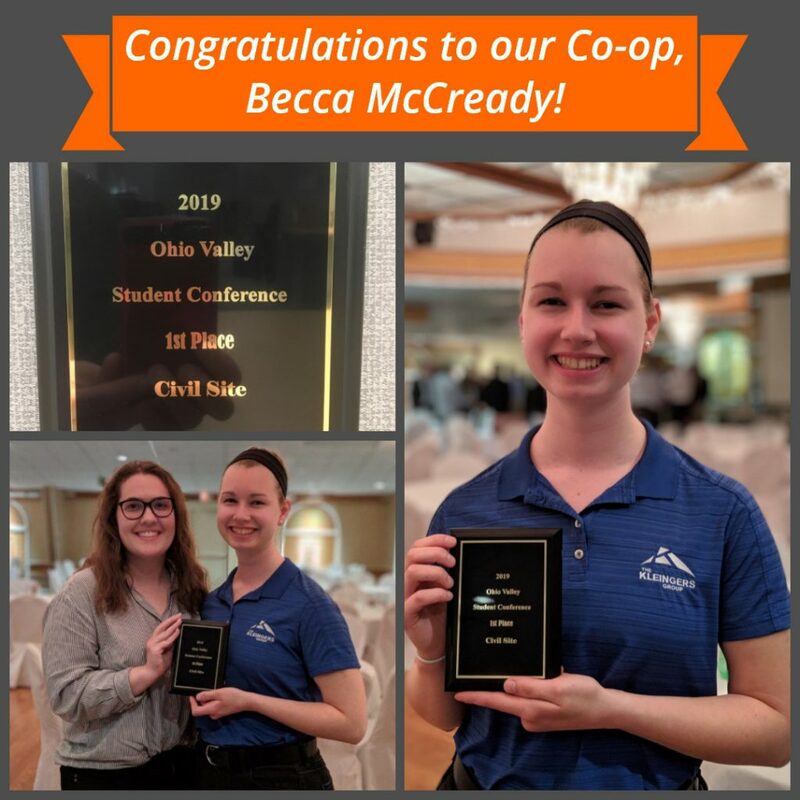 Big shout out to our co-op Becca McCready for placing first in the Site Civil Design Competition for the American Society of Civil Engineers (ASCE) Ohio Valley Student Conference (OVSC) this past weekend. Along with her competition partner, Becca represented the University of Cincinnati and achieved first place two years in a row at this competition. When commenting on the win, Becca stated, “I couldn’t have done it without the co-op experience I have gained at The Kleingers Group. There are very few classes, if any, at the University that teach CAD skills or civil site design concepts. I am confident that our continued success in this competition is LARGELY attributed to what I have learned at Kleingers since 2015.” The Kleingers Group is humbled by Becca’s comments and proud of her success! Congratulations!